A real 'foodies' market located in an old air force hanger. I must admit I'm not usually a fan of large subdivisions but I'm happy to say I was pleasantly surprised by what I found at this one. 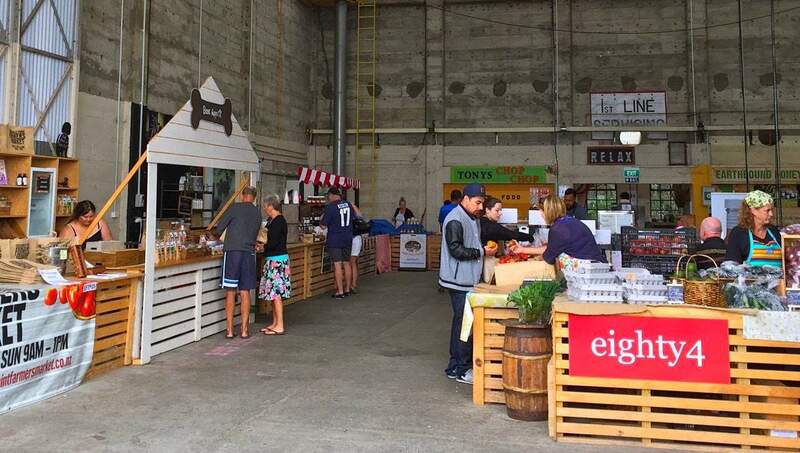 Hobsonville Point has a lovely indoor market, meaning you'll never need to worry about getting rained on here. It sells itself as a 'real foodies market' and I'd have to say it lives up to its reputation. Treats here include the multi award-winning Rockhaven Estate olive oil - their mandarin-infused olive oil is deliciously tangy on salad greens, authentic French pate and terrine and Naaz Indian curry paste. Also look out for Iranian Payam Parhodh selling spicy and sweet dips from his home country under the company name Payamnz Middle Eastern Foods. My favourite of his dips is the mirza ghasemi, which is similar to babaganosh but sweeter. (No doubt that has a lot to do with why he's dubbed it 'Lady Killer').